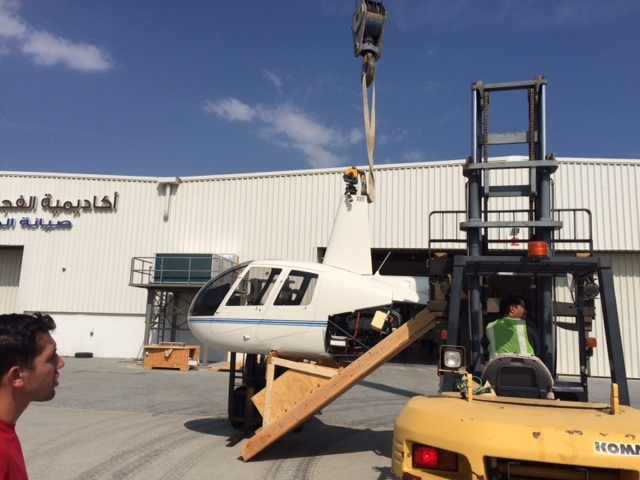 Superior Air delivered the first R44 Clipper IFR trainer in UAE. 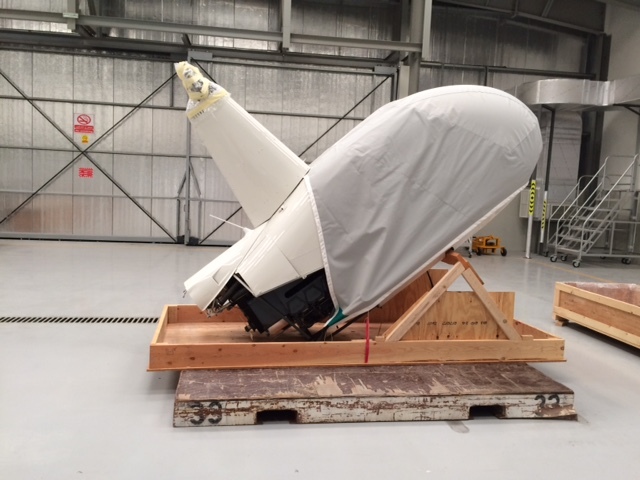 Superior Air , official dealer of Robinson Helicopters delivered the first R44 Clipper IFR trainer in the UAE . 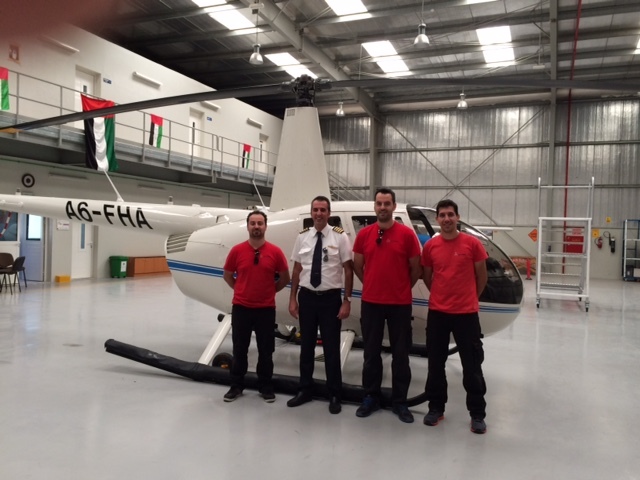 Fujairah Aviation Academy is the new owner and is just starting to provide training in helicopters. 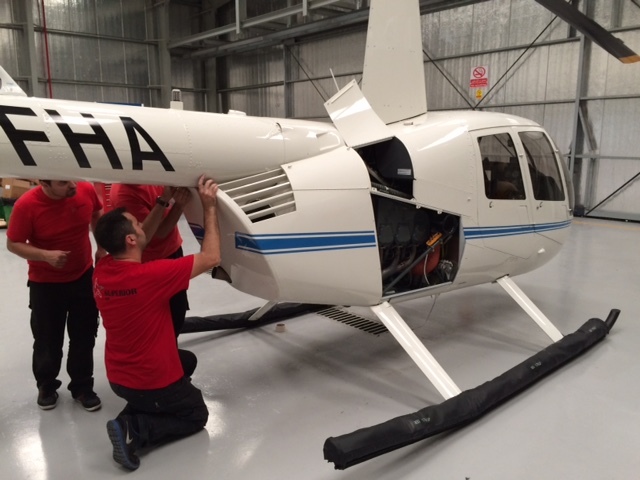 Our team assembled and flight tested the new helicopter. During our stay in the United Arab Emirates we had the opportunity to work with new and exciting people who expressed their satisfaction for the services provided. 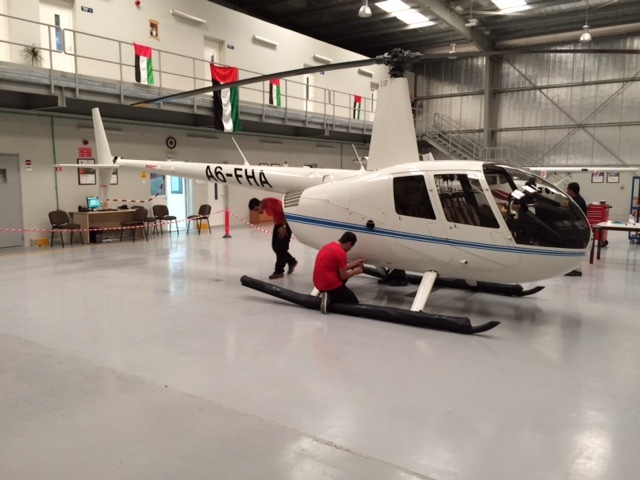 We were also pleasantly surprised with the level of knowledge and professionalism of all the staff in Fujairah Aviation Academy. Konstantinos Sofianos was the flight test pilot of the new glass cockpit equipped ship. 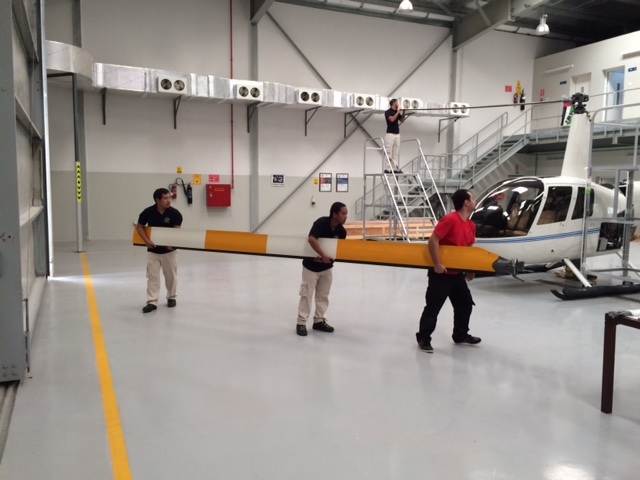 Many thanks to Fujairah Aviation Academy management , Captain Arshad Amin and their wonderful team . Superior Air wishes you all many and safe flights.